Looking for a Used Versa Note in your area? CarGurus has 3,558 nationwide Versa Note listings starting at $3,495. It won’t win any prizes for luxury or personality, but Nissan’s 2016 Versa Note is an inexpensive family- and commuter-oriented sub-compact hatchback that perfectly complements its Versa sedan sibling. Seating 5 passengers in a surprisingly roomy cabin, this 5-door hatchback also sports some 38.3 cubic feet of cargo area with the rear seatbacks folded. The Versa (both the Note and sedan) debuted for the 2014 model year in response to rivals like the Ford Fiesta, Chevy Sonic, Hyundai Accent, and Honda Fit. All of these challengers cost more than Nissan’s little 5-door, but they are also reminders of how you get what you pay for. The 2016 Versa Note again comes in 5 trims: the base S, the S Plus, the SV, the semi-sporty SR, and the top-shelf SV, and comes with front-wheel drive (FWD) only. The once-optional SV Convenience package, which includes a rear-view camera, NissanConnect smartphone apps, a 5-inch touchscreen, Bluetooth streaming audio, satellite radio, and a height-adjustable cargo floor, is now standard aboard the SV trim. Also remaining is the current engine, a 109-hp 1.6-liter inline 4-cylinder (I4) powerplant that comes with two transmission options: the base S trim gets a 5-speed manual transmission, and all other Versa Note iterations come with a standard (and famously fuel-miserly) continuously variable transmission (CVT). Look for 107 lb-ft of torque with either. The S trim’s stick shift sports an estimated 27 mpg city/36 highway/30 combined, and the CVT is estimated at 31/40/35. At least one track test had the current year’s CVT-equipped Versa Note going from 0-60 in 10.4 seconds, which, according to most in the media, is about average for the class. The 2016 Versa Note S, S Plus, and SV include 15-inch steel wheels, while the up-featured SR and SL versions offer 16-inch alloy wheels, unique exterior trim pieces, and side and rear spoilers. Inside, the S sports cloth upholstery, power-adjustable outside mirrors, a tilt-only steering wheel, air conditioning, Bluetooth hands-free calling, and a CD/MP3 player with 4 speakers and an auxiliary audio input. The S Plus adds active grille shutters for a bit more fuel efficiency, while the SV offers standard keyless entry, full power accessories, premium cloth upholstery, upgraded cabin accents, cruise control, and illuminated entry. The sport-styled SR adds a sport steering wheel, sport front seats, and suede upholstery, while the SL throws in keyless entry and ignition and heated front seats. The SL can also be up-fitted with the available Tech package, boasting voice-activated GPS navigation, a 5.8-inch display, heated outside mirrors, and a surround-view parking camera system. All 2016 Versa Note trims offer standard 4-wheel antilock brakes (ABS), traction and stability control, front side-mounted airbags, and front and rear head-protection airbags. Higher trims get extra safety features like front fog/driving lights and turn-signal-integrated mirrors, and a dealer-installed remote antitheft alarm comes optional across the entire lineup. The current Versa Note gets 4 out of 5 stars for overall crashworthiness in government crash tests, while the Insurance Institute for Highway Safety (IIHS) has no current safety testing data for it. Owners of the various current Versa Note iterations complain about its cheap interior appointments, noisy cabin, and lumpy seats. But many owners are also quick to praise this sub-compact hatchback for its value, styling, ride, and surprisingly roomy dimensions. 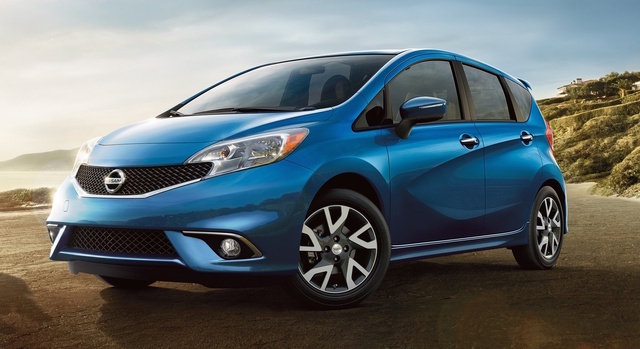 What's your take on the 2016 Nissan Versa Note? Users ranked 2016 Nissan Versa Note against other cars which they drove/owned. Each ranking was based on 9 categories. Here is the summary of top rankings. Have you driven a 2016 Nissan Versa Note? Looking at buying a 2016 Nissan Versa note with 100,000 miles on it for 6,200. 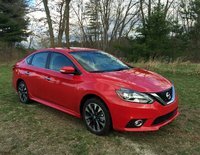 How long do Nissans typically last and is the price too high for how many miles it has? So i go to the dealer and the car is listed substantially higher then car gurus has it. He says "we did a price adjustment" does car gurus know they do that?